Gary Lee Rockwood was born on 4 March 1952 at Iowa. He was the son of Lyle Wilbert Rockwood and Betty M. Teschke. Gary Lee Rockwood died on 21 July 2013 at age 61 Gary L. Rockwood, age 61, of Omaha, died Sunday, July 21, 2013 in Omaha. He was born March 4, 1952 in Sioux City, Iowa to Lyle and Betty (Teschke) Rockwood. Gary is survived by his son Bryan Rockwood; daughter Andrea (Roger) Strode; sister Barb Ward, all of Omaha. No services are planned. Allen Jonason was born circa 1895 at Nebraska. He married Ernestine Charlotte Winter, daughter of John Ludwig Winter and Josephine Mollet, on 6 April 1920 at 1st marriage for both, Yankton, South Dakota, listed as Ernestine Winters. [S250] U.S. Federal Census 1930 U.S. Federal Census, by Ancestry.com, ED8-4. Dwelling 22. Name Variation Rollin Jonason was also known as Roland. Rollin Jonason was born circa 1916 at South Dakota. He was the son of Allen Jonason and Ernestine Charlotte Winter. Married Name Her married name was Krussel. Beatrice Jonason married Edward Krussel, son of Herman Krussel and Therese (?). Beatrice Jonason was born on 13 September 1917 at Utica, Yankton, South Dakota. She was the daughter of Allen Jonason and Ernestine Charlotte Winter. Name Variation Edward Krussel was also known as Edmond. Edward Krussel married Beatrice Jonason, daughter of Allen Jonason and Ernestine Charlotte Winter. Edward Krussel was born circa 1911 at Nebraska. He was the son of Herman Krussel and Therese (?). [S250] U.S. Federal Census 1930 U.S. Federal Census, by Ancestry.com, ED8-9. Dwelling 8. Gladys Lorene Jonason married Vincent Krussel, son of Herman Krussel and Therese (?). Gladys Lorene Jonason was born on 14 December 1920 at Lesterville, Yankton, South Dakota. Gladys Lorene Jonason died on 12 August 2003 at age 82. Gladys Lorene Jonason obtained US Social Security Card at Nebraska; last residence Omaha, Douglas, Nebraska. Vincent Krussel married Gladys Lorene Jonason, daughter of Allen Jonason and Ernestine Charlotte Winter. Vincent Krussel was born on 26 June 1913 at Nebraska. Vincent Krussel died in April 1982 at age 68. Vincent Krussel obtained US Social Security Card at Washington; last residence Omaha, Douglas, Nebraska. Married Name circa 1924 As of circa 1924,her married name was Winter. Alma Leonthina Hauck married Emil William Winter, son of John Ludwig Winter and Josephine Mollet, circa 1924. Alma Leonthina Hauck obtained US Social Security Card at California; last residence not specified. [S204] California Death Records (published), from Alma Winter data. [S9] South Dakota, South Dakota Birth Records South Dakota, State File Number: 524999 (unknown file date). [S250] U.S. Federal Census 1930 U.S. Federal Census, by Ancestry.com, ED68-27. Dwelling 51. Name Variation Rosalia Schenk was also known as Rose. Married Name Her married name was Hauck. Rosalia Schenk was born at Russia. She married Jacob J. Hauck. [S9] South Dakota, South Dakota Birth Records South Dakota, State File Number: 772627 (unknown file date). [S9] South Dakota, South Dakota Birth Records South Dakota, State File Number: 774193 (unknown file date). 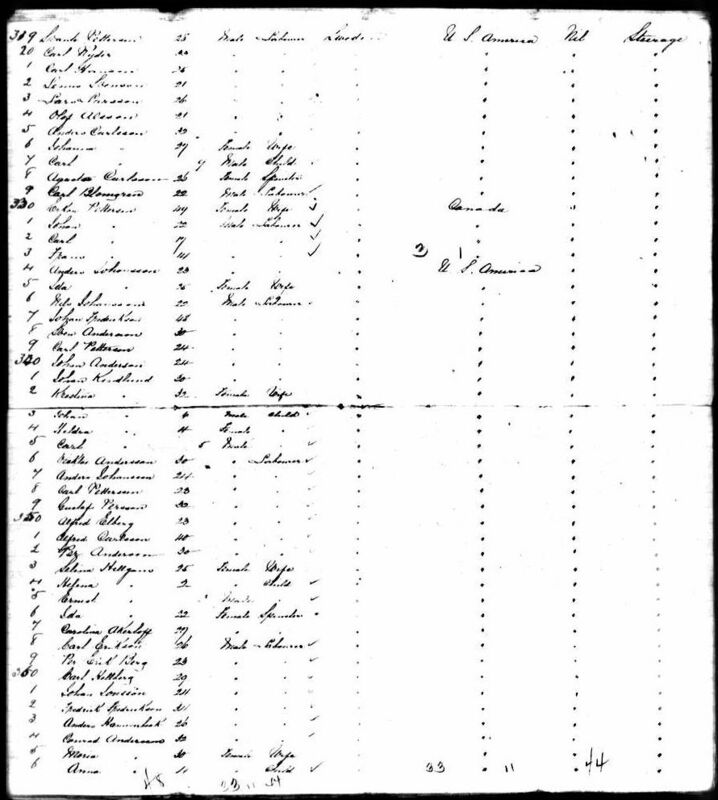 [S9] South Dakota, South Dakota Birth Records South Dakota, State File Number: 505807 (unknown file date). [S9] South Dakota, South Dakota Birth Records South Dakota, State File Number: 528066 (unknown file date). 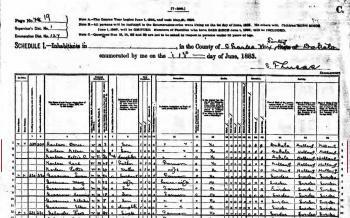 [S9] South Dakota, South Dakota Birth Records South Dakota, State File Number: 569919 (unknown file date). Married Name circa 1921 As of circa 1921,her married name was Winter. Rose Kruse was born circa 1902 at South Dakota. She married Arthur A. Winter, son of John Ludwig Winter and Josephine Mollet, circa 1921. [S250] U.S. Federal Census 1930 U.S. Federal Census, by Ancestry.com, ED68-18. Dwelling 91. Dubel Winter was born circa 1922 at South Dakota. He was the son of Arthur A. Winter and Rose Kruse. Dubel Winter died in 1952. Married Name 19 March 1899 As of 19 March 1899,her married name was Baumgarten. Bertha Huebing was born on 25 April 1874 at Westfield, Sauk, Wisconsin. She was the daughter of Frederick Huebing and Elizabeth Geffert. Bertha Huebing married August G. Baumgarten, son of Friedrich Baumgarten and Wilhelmine Katherina Henrietta Estorf, on 19 March 1899 at Loganville, Sauk, Wisconsin. Bertha Huebing died on 31 October 1914 at age 40. Bertha Huebing had four children. She had 1 with 1 living in 1900 children. 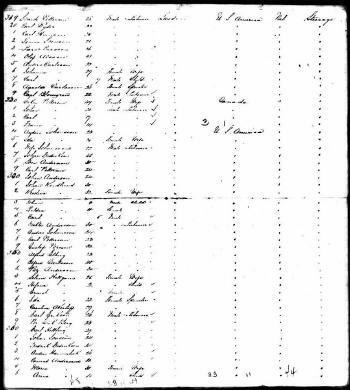 [S246] U.S. Federal Census 1880 U.S. Federal Census, by Ancestry.com, NA Film Number T9-1446 Page Number 282D. Name Variation Anders Gustav Carlsson was also known as Andrew Gustave. Name Variation Anders Gustav Carlsson was also known as Carlson. Name Variation Anders Gustav Carlsson was also known as Anders Gustaf. Name Variation Anders Gustav Carlsson was also known as Karlsson. Name Variation Anders Gustav Carlsson was also known as August. Name Variation Anders Gustav Carlsson was also known as Andreas. Name Variation Anders Gustav Carlsson was also known as A. G.
Anders Gustav Carlsson was born on 7 April 1849 at "Atterud", Bäck, Skaraborg (Västra Götaland), Sverige (Sweden). 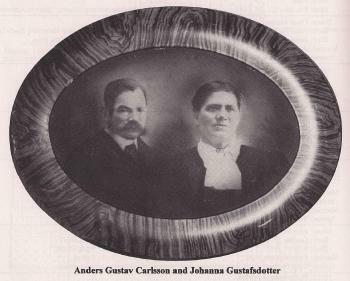 Anders Gustav Carlsson married Johanna Gustafsdotter, daughter of Gustaf Gustafsson and Kajsa Lisa Larsdotter, on 11 April 1880 at Trästena, Skaraborg (Västra Götaland), Sweden. Anders Gustav Carlsson died on 17 January 1937 at Corsica, Douglas, South Dakota, at age 87 Andrew Gustave Carlson was born April 7, 1849, in Westergothland, Sweden, and died Jan. 17, at the age of 87 years, 9 months and 17 days. He suffered a short illness at the home of his son, Verner near Corsica. On April 11, 1880 he was united in marriage to Johanna Gustafson. To this union ten children were born nine of whom survive, they are Oscar of Maquoketa, Ia; Mrs. Ernie F. Mollet of Geddes; Mrs. Chas. Mollet of Lake Andes; Mrs. Frank Paddock of Selah, Wash; Vener of Corsica; Mrs. Virgil Millage of Lake Andes; Otto B. of Beresford; Mrs. Carl Frick of Beresford, and Mrs. J. H. Valentine of Selah, Wash. In 1881 he came to America, settling near Akron, Iowa, for three years, and in 1884 he moved to a homestead near Platte, then Dakota territory. In 1900 the family moved to a farm near Geddes and in 1911 they moved into the city of Geddes. His wife died in 1918 and he has made his home with his son Verner for the last fourteen years. Besides his children he is survivied by 55 grandchildren and 20 great grandchildren. Rites were held at the Verner Carlson home and interment was made in Pleasant Lawn cemetery. Owing to bad roads and inclement weather the funeral was postponed from Wednesday until Sunday. The News joins the many friends in extending sympathy in the passing of this most worthy pioneer. He was buried after 17 January 1937 at Pleasant Lawn Cemetery, Geddes, Charles Mix, South Dakota, Block 49 Lot 3 Grave 3. 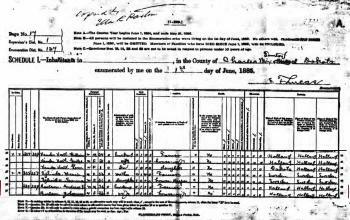 1 June 1885 Charles Mix, South Dakota Anders Gustav Carlsson appeared on the census of 1 June 1885 at Charles Mix, South Dakota, surname listed as Karlson. 1895 Forbes Town, Charles Mix, South Dakota He appeared on the census of 1895 at Forbes Town, Charles Mix, South Dakota. 1905 South Dakota He appeared on the census of 1905 at South Dakota listed as A Z and Hanna Carlson. 1915 South Dakota He appeared on the census of 1915 at South Dakota Sheet Number: 757; Religion: Lutheran; Arrival Year in Country and State: 1882. 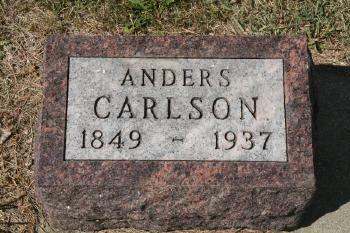 1925 South Dakota Anders Gustav Carlsson appeared on the census of 1925 at South Dakota listed as A G Carlson; listed as widowed; religion: Lutheran. 1935 Holland ward 4, Douglas, South Dakota Anders Gustav Carlsson appeared on the census of 1935 in the household of John Verner Carlson at Holland ward 4, Douglas, South Dakota. Photo of Anders Gustav Carlsson and Johanna Gustafsdotter. 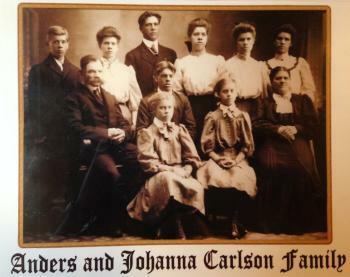 Anders Gustav Carlsson and Johanna Gustafsdotter immigrated on 4 April 1884 to S. S. Orlando, Hull, England, also includes Karl Larsson family. Anders Gustav Carlsson was naturalized in 1885. 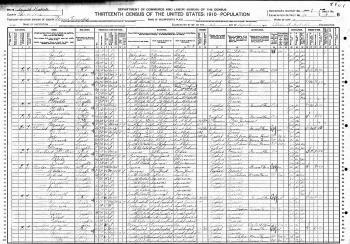 [S244] U.S. Federal Census 1910 U.S. Federal Census, by Ancestry.com, ED96. Dwelling 63. [S243] U.S. Federal Census 1920 U.S. Federal Census, by Ancestry.com, ED40. Dwelling 35. 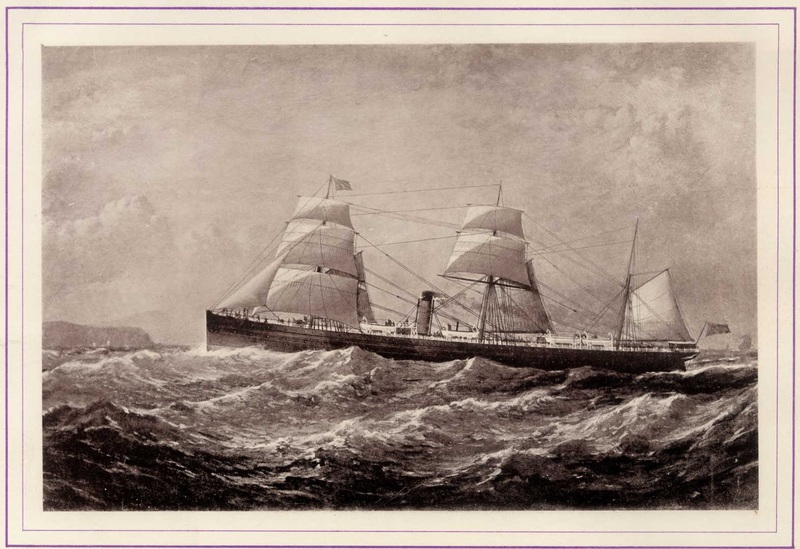 Lars K. Langeland was born in May 1857 at Norway. He married unknown (?) circa 1880. Lars K. Langeland married Kari Knutsdatter Aarhus on 5 April 1894 at Woodbury, Iowa. Lars K. Langeland died on 31 December 1933 at Charles Mix, South Dakota, at age 76. 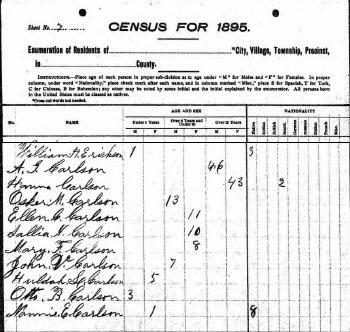 [S245] U.S. Federal Census 1900 U.S. Federal Census, by Ancestry.com, ED83. Dwelling 31. [S250] U.S. Federal Census 1930 U.S. Federal Census, by Ancestry.com, ED12-31. Dwelling 125. [S9] South Dakota, South Dakota Birth Records South Dakota, State File Number: 771459 (unknown file date). [S9] South Dakota, South Dakota Birth Records South Dakota, State File Number: 443878 (unknown file date). Name Variation Kari Knutsdatter Aarhus was also known as Arhus. Name Variation Kari Knutsdatter Aarhus was also known as Carrie K.
Married Name 5 April 1894 As of 5 April 1894,her married name was Langeland. Kari Knutsdatter Aarhus was born in October 1866 at Norway. She married Lars K. Langeland on 5 April 1894 at Woodbury, Iowa. Kari Knutsdatter Aarhus died after April 1930. Kari Knutsdatter Aarhus had 7 with 4 living in 1900 children. She had 10 with 7 living in 1910 children. Anton Gilbert Langeland was born on 11 May 1907 at South Dakota. Anton Gilbert Langeland married Loretta Lucile Page on 13 December 1930 at Gregory, South Dakota. Anton Gilbert Langeland died on 23 October 1983 at age 76. Anton Gilbert Langeland obtained US Social Security Card at South Dakota; last residence Virginia. Married Name 2 July 1925 As of 2 July 1925,her married name was Skaare. Bertha Augusta Langeland married John Richard Skaare, son of Iver Ellingsen Skaare and Ingeborg Sigdestad, on 2 July 1925 at Charles Mix, South Dakota. Henry T. Langeland died after 5 May 1936. George W. Head married Cleo Gonzales. George W. Head was born on 14 December 1895 at Arkansas. He was the son of Harvey Whitfield Head and Lydia Irene Arnold. George W. Head died in June 1984 at age 88. 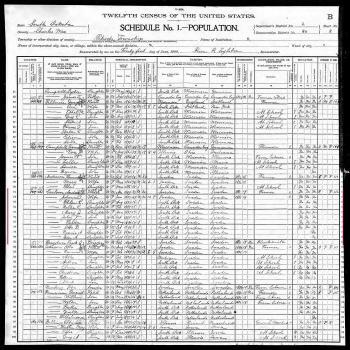 [S244] U.S. Federal Census 1910 U.S. Federal Census, by Ancestry.com, ED19. Dwelling 215. [S243] U.S. Federal Census 1920 U.S. Federal Census, by Ancestry.com, ED19. Dwelling 256. Lee D. Head was born on 7 July 1902 at Arkansas. Lee D. Head married Bessie Arnold circa 1928. Lee D. Head died on 15 July 1973 at age 71. Lee D. Head obtained US Social Security Card at Arkansas; last residence Mammoth Spring, Fulton, Arkansas. [S250] U.S. Federal Census 1930 U.S. Federal Census, by Ancestry.com, ED25-9. Dwelling 52. Married Name circa 1928 As of circa 1928,her married name was Head. Bessie Arnold was born on 5 August 1908 at Arkansas. She married Lee D. Head, son of Harvey Whitfield Head and Lydia Irene Arnold, circa 1928. Bessie Arnold died on 12 July 1969 at age 60. John M. Head was born in May 1898 at Arkansas. Name Variation Charley Jackson Head was also known as Charles. Charley Jackson Head was born on 4 April 1892 at Arkansas. Charley Jackson Head married Martha (?) circa 1913. [S243] U.S. Federal Census 1920 U.S. Federal Census, by Ancestry.com, ED19. Dwelling 257. [S250] U.S. Federal Census 1930 U.S. Federal Census, by Ancestry.com, ED61-33. Dwelling 192. Married Name circa 1913 As of circa 1913,her married name was Head. Martha (?) was born circa 1893 at Arkansas. She married Charley Jackson Head, son of Harvey Whitfield Head and Lydia Irene Arnold, circa 1913. Harly Head was born circa 1915 at Arkansas twin with Carl. He was the son of Charley Jackson Head and Martha (?). Carl Head was born circa 1915 at Arkansas twin with Harly. James F. Head was born on 15 January 1881 at Arkansas. James F. Head died on 29 October 1913 at age 32. Name Variation Lucinda Head was also known as Lucindy. Married Name Her married name was Spicer. Name Variation Lucinda Head was also known as Cindy. Lucinda Head married James Clayborn Spicer. Lucinda Head was born on 25 August 1881 at Arkansas also reported as 25 Aug 1882. Lucinda Head died on 17 June 1982 at age 100. Married Name 17 May 1906 As of 17 May 1906,her married name was Henry. Mary Robert Head was born on 19 November 1885 at Arkansas. Mary Robert Head married Crayton Monroe Henry, son of Zeb Dee Henry and Mary Elizabeth Michael, on 17 May 1906. Mary Robert Head died on 21 November 1971 at age 86. [S250] U.S. Federal Census 1930 U.S. Federal Census, by Ancestry.com, ED26. Dwelling 162. Joel C. Head was born in March 1888 at Arkansas. Joel C. Head married Ida Stroud in 1911.